This stunning collection of 100 beautiful mandalas will draw you into an enchanting world of pattern and color. Accented in shimmering silver and showcased on rich black backgrounds, the Scandinavian, Asian, and Slavic influences of these designs combine with botanical and celestial motifs for detailed arrangements that are as soothing as they are sophisticated. 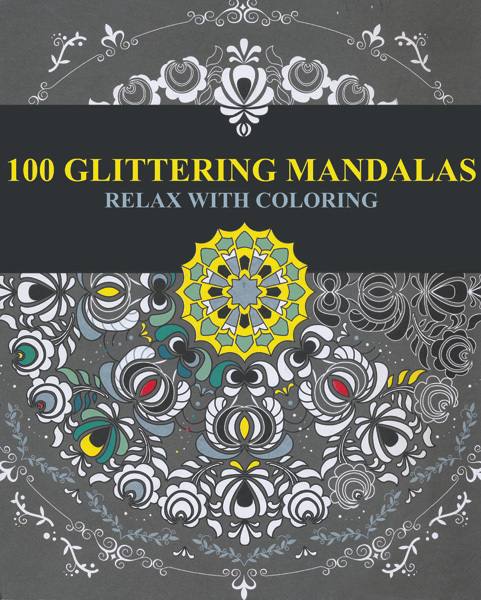 Settle in with your favorite markers, pens, or pencils and express your individual artistry through the relaxing beauty of 100 Glittering Mandalas.